The staff was very friendly and happy. It was located in a great spot it seemed to be a pretty safe neighborhood. There were lots of shopping area's near by not in walking distance but in driving distance not far at all. I liked that it was only 67 dollars for one night for 3 people. Everything about this place is great I always love staying here. Staff is friendly room is clean. Simple motel great for the price you pay. I took my 49 year old daughter for medical reasons. 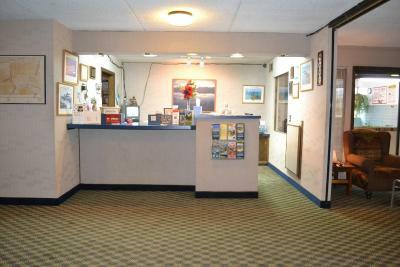 Everyone of the staff I came in contact was so friendly and very helpful. Because we had to leave so early we didn't eat breakfast there. But the coffee was the best I've had in a long time. Convenient, comfortable, quiet, AND affordable! And all the employees are great! My room was comfortable and the price was great. I will go back, if ever I am back in the area. 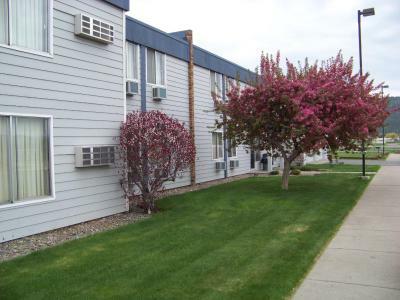 Aero Inn This rating is a reflection of how the property compares to the industry standard when it comes to price, facilities and services available. It's based on a self-evaluation by the property. Use this rating to help choose your stay! 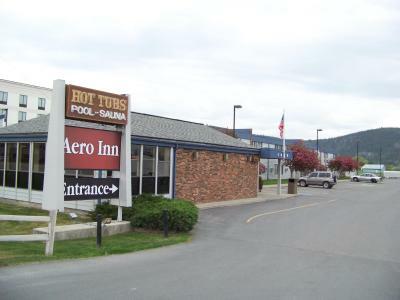 Located 23 miles from Flathead Lake, this Montana hotel features an indoor pool, hot tub and sauna. 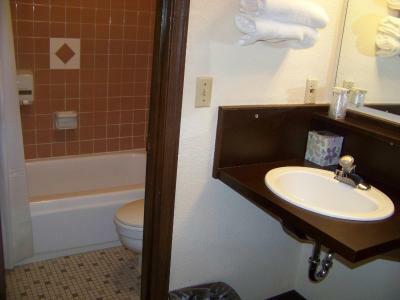 Free Wi-Fi and continental breakfast are included at the property. 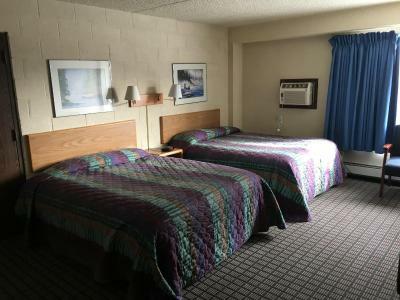 All rooms at the Aero Inn provide satellite TV. All air-conditioned rooms include a work desk. 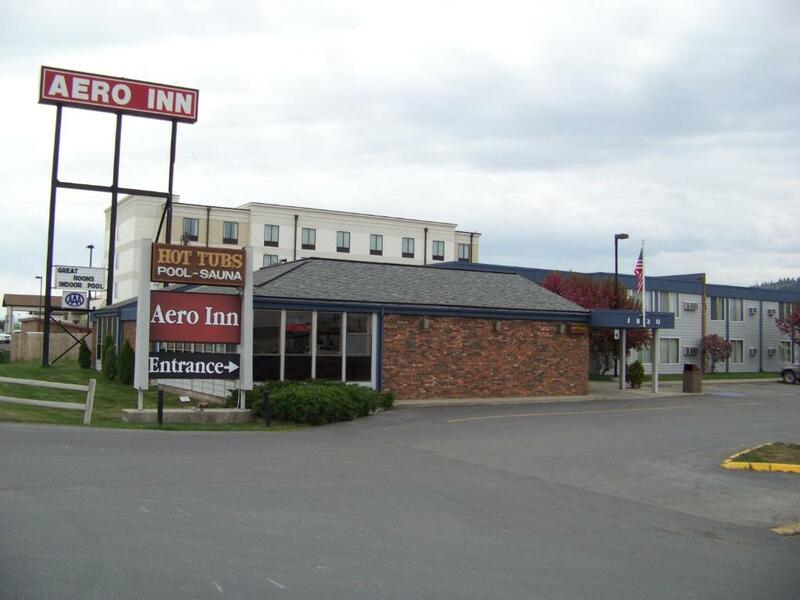 A 24-hour reception is offered at the Aero Inn. Fax and photocopying services are available for added convenience. Whitefish Resort Ski Area is 23 miles away from the hotel. Glacier National Park is 1.5 hours away. 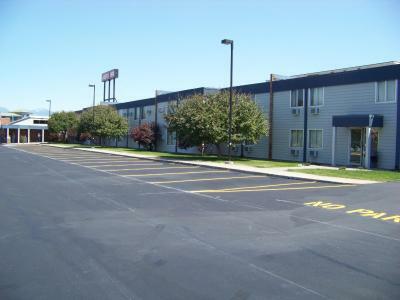 When would you like to stay at Aero Inn? Featuring satellite TV, this room includes a private entrance and work desk. House Rules Aero Inn takes special requests – add in the next step! Free! One child or adult stays free of charge when using existing beds. One additional older child or adult is charged USD 5 per person per night in an extra bed. Aero Inn accepts these cards and reserves the right to temporarily hold an amount prior to arrival. Please note that the guest needs to be at least 21 years old to rent a room. 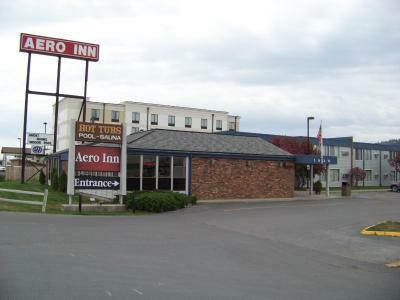 Please Note: Aero Inn is a nonsmoking property. Good value for price paid, all staff were extremely friendly and helpful. The breakfast could have been better maybe some fruit choices along with cereal and bread. I was disappointed that some of the places around it was closed but I did visit out of season. I think children don't stay free but it was only 6 dollars more for my 15 year old son so that wasn't to bad either it would have been $60 but it turned out to be $67. I feel that it was a very good place too stay for the price I payed. Coffee kiosk on the parking lot. Price. This room was smaller than when I stayed previously. Not as nice. Same price. Miss the more complete breakfast during turist rare seasons, but cost savings allow me to find a diet breakfast in town.